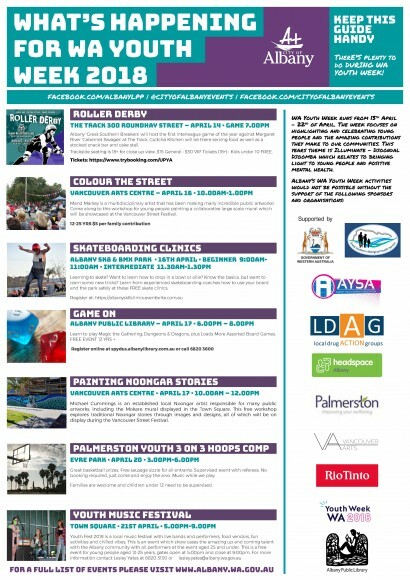 WA Youth Week runs from 13th April – 22nd of April. The week focuses on highlighting and celebrating young people and the amazing contributions they make to our communities. This years theme is Illuminate – Djoondal Djoomba which relates to bringing light to young people and positive mental health.